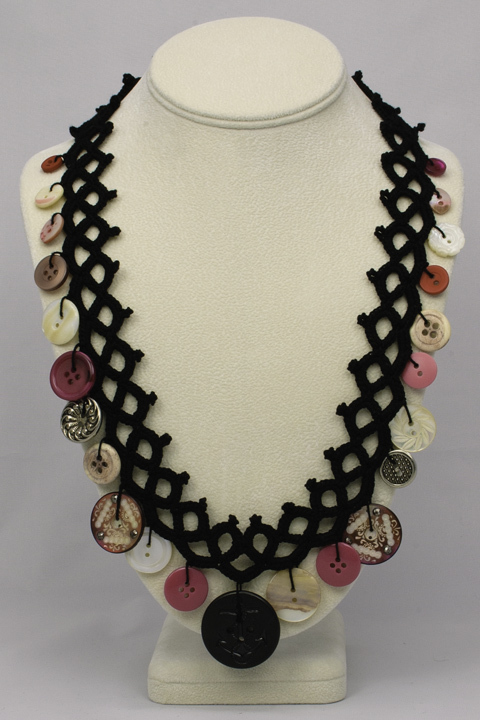 Our “faux” tatted necklace looks like it’s tatted, but it’s actually crocheted! 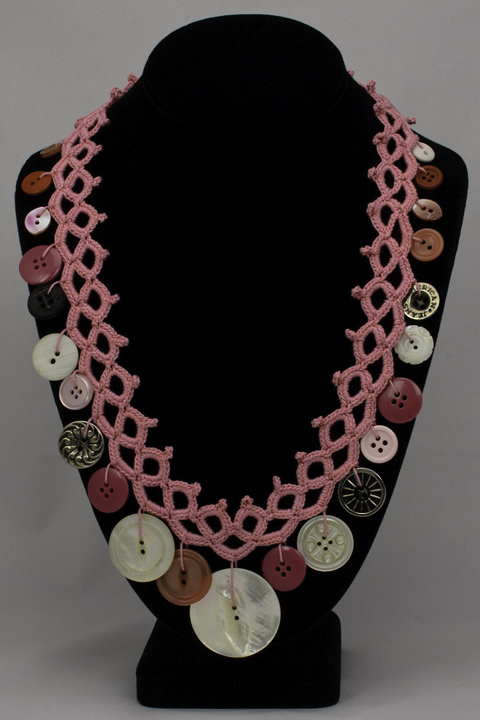 This versatile necklace can be made in any color and with any buttons, beads or charms you desire. The necklace is made in one long piece to slip over your head with no clasp required. Each necklace takes only a few hours to make. 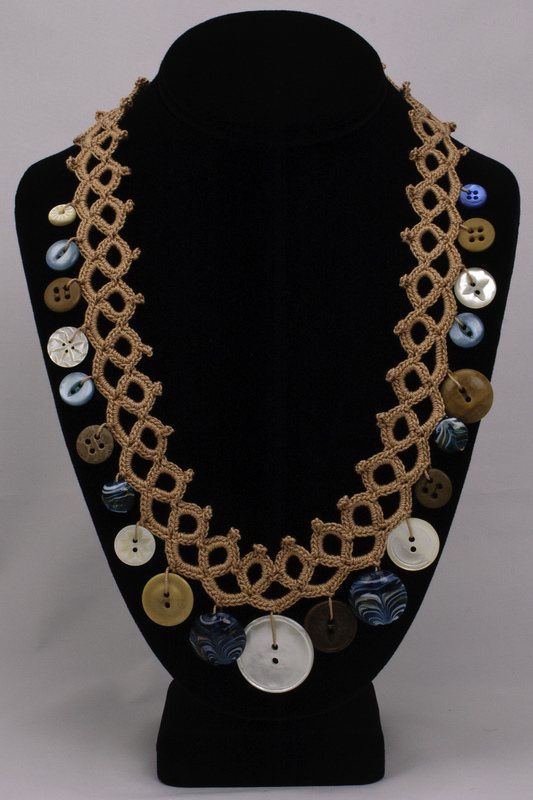 Why not make a necklace to go with every outfit! 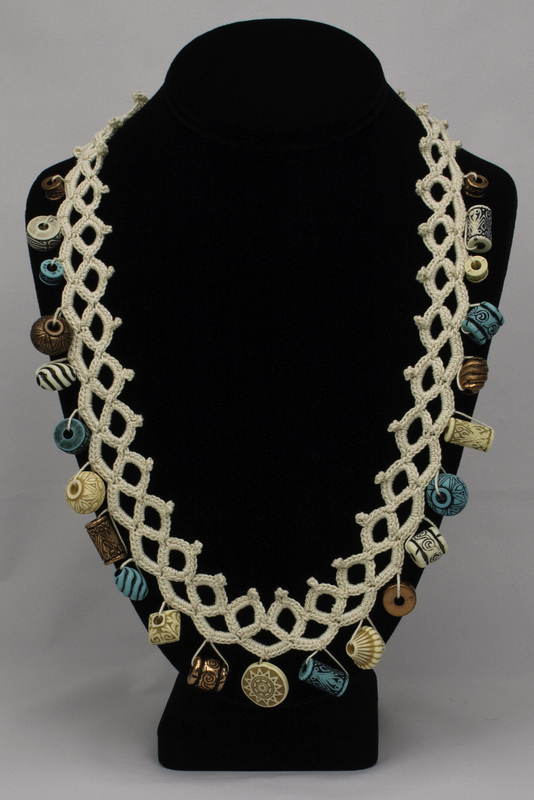 You’ll get many compliments wearing this one-of-a-kind necklace! The pattern includes written instructions, step-by-step photos and a crochet symbol chart.